Radiofrequency discharges fed with CCl4-Cl2 mixtures have been studied in the pressure range 0.3 to 0.6 torr by means of emission spectroscopic actinometry with Ar, He, and N2 as actinometers. Two different reactors, a parallel plate and a capacitively coupled tubular one, have been utilized for this study to obtain information for a large range of electron energy distributions. 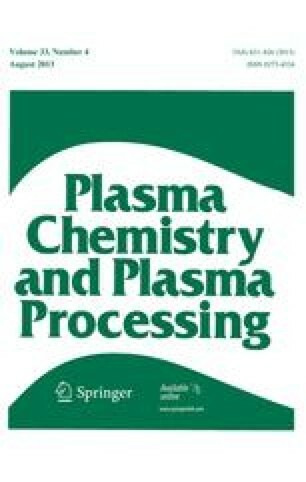 Analysis of the experimental results demonstrates the following: the utilization of actinometry and its range of validity, the importance of electron attachment to CClx species during the plasma decomposition process, and the effects of the presence of chlorine and “glowpolymer” in the discharge medium.